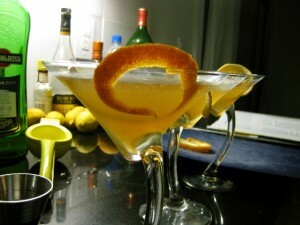 The Bronx Cocktail: Gin, dry vermouth, sweet vermouth, orange juice, Angostura bitters, orange peel. Look at the size of that orange peel! For our first cocktail hour, we sampled the Bronx Cocktail and a variation called Satan’s Whiskers. Both of them use gin, vermouth, and orange. This cocktail is spot on, in our opinion. The smell is pure citrus. Even though the orange peel isn’t flamed, the oils are released, and the nose is all orange. The texture is a bit grainy from the orange, but I like that. It would be a different cocktail if the orange juice were strained, but it would still be good. The taste is citrus, but it isn’t overpoweringly sweet, and it definitely doesn’t taste like orange juice. It is a smooth drink, with an alcohol taste, but not alcohol bite. It goes down really easy and can be drank quickly if someone wanted to waste it. My assessment of the drink is that is it is pleasing. It won’t offend women who want something easy and sweet, but it will still please the men who want to feel as if they’re actually drinking alcohol. But this one won’t excite either one of them, either. It isn’t sweet enough nor strong enough. Overall, it is simply a balanced drink. For Satan’s Whiskers, add your favorite triple sec, in this case, Grand Marnier. I like this one better. The flavor is more citrus and the Grand Marnier offers a pleasing sweetness. 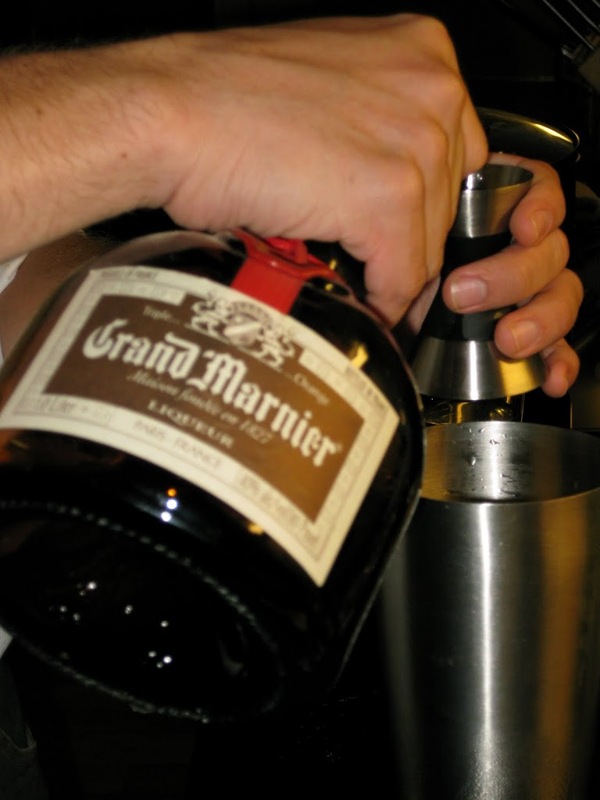 The Grand Marnier also makes it easier on the tongue. Really, anything with Grand Marnier is going to be good. I can’t stand the stuff straight, but it is a nice addition to nearly any drink.